Don’t hang up your wetsuit just yet. Summer might be long gone but Cornwall’s not going anywhere. Golden beaches, turquoise water; Cornwall’s got it in spades and for those in the know, surfing is best in winter. The tempo goes up a fair few notches and buzz? Well, it’s as good as it gets! Just a 5-minute walk from the town centre is Newquay’s best break, Fistral beach. It picks up any north or northwest swell and breaks at its finest in clean punchy lines with south easterly winds. If the swell’s a decent 6ft, the town will be frothing. There’s parking at each end of the beach and places to grab a bite to eat when you’re out the water. 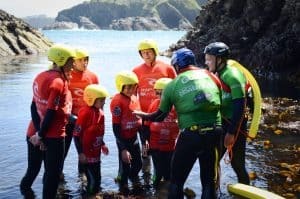 Newquay Activity Centre’s number one spot for adrenaline-filled surf lessons! This year-round winner really comes into its own when the temperatures dip and grey clouds looms. Sitting in the shadow of Pentire Head, it’s nice and sheltered so escapes the full brunt of winter swells and is the place to find more manageable conditions. Thanks to a prevailing offshore south westerly wind, conditions are normally clean which is just the ticket when it comes to jumping on a board and owning the waves. To top it off, there’s excellent facilities on the beach with free warm showers. When the swell is too big at legendary Fistral and too small at Towan, head to this spot which is just on the outskirts of Newquay. Beware though, there are hundreds of steps down to the beach, so don’t surf for too long as you need to save the energy to climb back up again! Another sheltered spot, Harlyn near Padstow is favourite hangout among surfers - and it’s no wonder; there’s a beautiful sandy beach, parking on the headland, warming pubs and windy cliff top walks. Whether you’re a seasoned pro or facing the waves for the first time, Harlyn is a pretty awesome place to do it. Not only does a coveted Blue Flag flutter in the wind at Porthtowan but the waves are epic and there’s a fantastic pub on the beach to grab a post-surf hot chocolate. Porthleven is one of the most renowned and respected breaks in the UK, this south coast spot is a short and powerful right hand reef. It gets crowded very quickly on a south westerly swell and when there’s a sniff of north easterly in the wind but if you’ve mastered the basics, there’s a place in the line-up with your name on it. 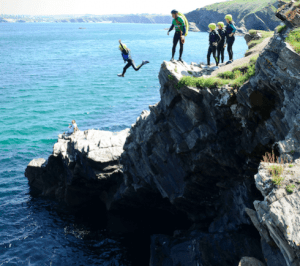 So whether you’re a beginner or an experienced rider in search of the best barrels, Cornwall has the widest range of beaches to suit all levels - hook up with Newquay Activity Centre 360+ days a year for the sweetest rides.